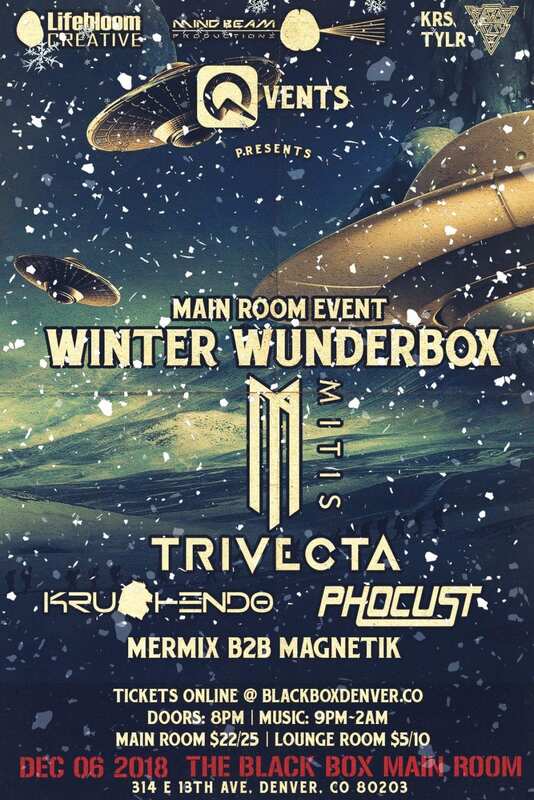 Q-vents Presents : MiTiS + Trivecta, Krushendo, Phocust, + More! Q-vents: MiTiS + Trivecta at The Black Box on Thursday, December 6th, 2018 in Denver, Colorado. Tickets are $22 advance and $25 day of show.